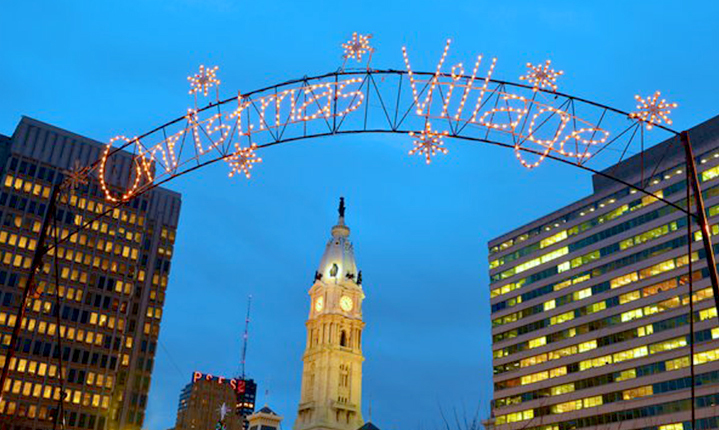 Beginning on Thanksgiving and going through the last Sunday of December, Philadelphia’s Christmas Village is sure to delight people of all ages. This German Christmas Market will fill visitors with holiday spirit and get everyone in the cheerful holiday mood. Located at LOVE Park in Center City, this outdoor event to the west of City Hall brings German tradition and Holiday happiness with traditional European foods, candies, and drinks. There are also going to be ample shopping opportunities, ornaments, international holiday gifts, arts and crafts, and more! On top of this, there will be thousands of lights, a huge holiday tree, the delicious smell of fresh baked goods, waffles, and bratwurst, and festive music to match. The little ones will love meeting Santa and having a picture taken with him, while adults can try some gluhwine (mulled wine) or a cup of hot chocolate with marshmallows. Check the events page for updates to see what will be on the Christmas Village schedule and then plan to bring friends, family, or that special someone to this great holiday event! What’s more, admission is free – making this event even more appealing. For more information, email info@philachristmas.com.